Well, for one thing, holidays are a time for family to be together. Generally, children will be home with their parents; even grown children often travel great distances to be home. My younger brother, who's in his mid twenties, still flies home every Christmas to be with with my parents and siblings. My almost youngest sister, who's also in her mid twenties and and is married, flew home with her husband to be with with my parents and family for Christmas this year. It's interesting how we feel this draw to go home and to be with family on the holidays. It is probably the oldest and most widely practiced holiday tradition. But one of the things that I have found as I have spent time with family is that it seems to be almost forced togetherness. Often we feel somewhat obligated to be with one another, especially if family is nearby. You know you're supposed to spend the holidays with family and so you do and you plan to and afterward you think "when can I spend time with my family again?" But the question is: what did you actually accomplish other than being physically co-located? What is the purpose of spending time together as families on holidays? Why do we do it? I think the answer is pretty simple: to get closer to our families and nurture the bonds of love that bind us together as a family. We do that by building memories and experiences with each other that enrich and enhance our relationships with one another. 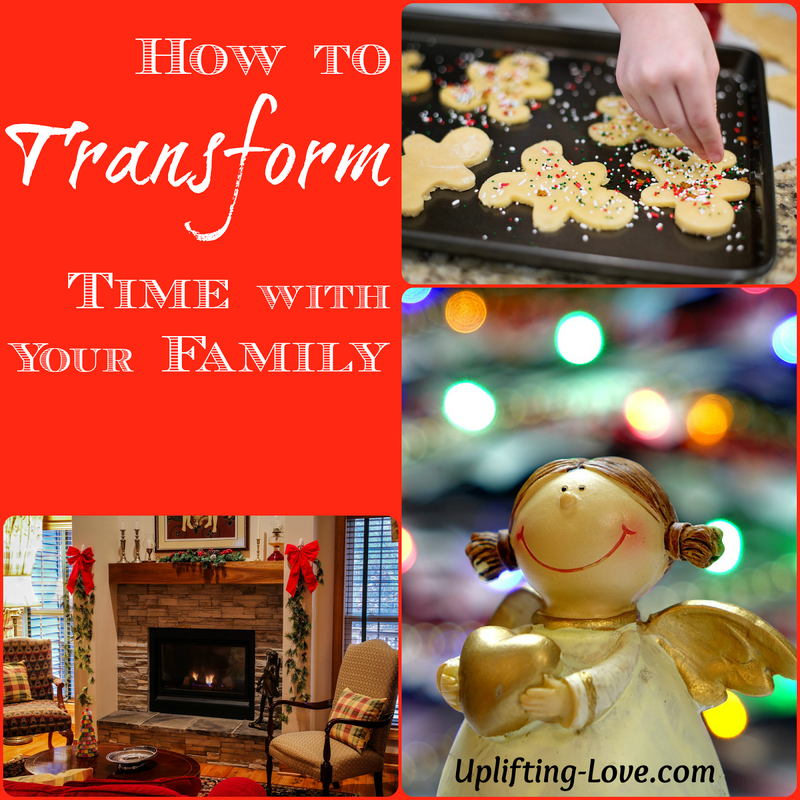 Getting together with our families during the holidays and spending time together is supposed to facilitate the creation of these memories and experiences. It should be special time that is set apart where there isn't anything or anyone keeping us from building them. There's no reason and nothing preventing my family from getting together at anytime of the year. If we wanted to get together on August 13th (instead of December 25th) we could. And if we wanted to choose March 27th there wouldn't be anything that would stop us. So, why do we do so during the holidays? Again, I believe that the reason is to build and strengthen family relationships. And during the holidays we couple family time with religious observance and celebration. We are together in our faith as well as physically. To recap: we get together with our families to spend time together strengthening our relationships. But what do we do with that time? What are we doing when we're physically together? For the most part, most of us eat. And, at least on Christmas, we exchange gifts. We even sing songs together and share stories and drink eggnog on Christmas; and we have Turkey and pie on Thanksgiving. But what should we be doing? 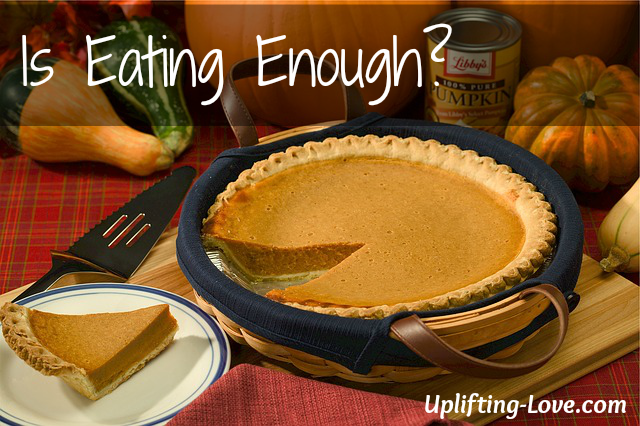 Is eating enough? One of my favorite things that we do when my wife and I get together with with her family is play the game Catch Phrase. Cami's youngest sister LOVES the game Catch Phrase. She makes us play this game almost every time we get together. The best part about playing this game with my wife's family is it makes memories, things are said and done that we remember and laugh about for years afterward. I'll never forget the time that we thought my sister in law said that my wife's father had breast implants. Hilarious! Another time my sister-in-law, again she LOVES this game and gets sooo excited to play it, threw the Catch Phrase unit at the person next to her each turn. As soon as the answer was correct she would literally throw it at the next person. I think my brother in law had a bruise from from one of these times when it hit him squarely in the chest. The moral of this little story is that as we spend time together we're making memories, we're getting to know each other better, and showing that we love one another and strengthening that love and friendship through common experience. Relationships are built and strengthened through shared experiences. When shared experiences are fun, when they make us laugh, when they make us cry, and especially when they're difficult they strengthen relationships. They give us common ground with which we can better relate to one another. So the question remains, what should we be doing and how should we be spending our time with our families, especially during the holidays? We should be developing shared experiences! Let's have some fun, let's play a game, in fact, at your next family gathering, whenever that may be, I invite you to play Catch Phrase. Play it with vigor, play it with excitement, play it like my sister-in-law plays it: frantically. Let's build shared experiences. Let's develop shared memories. That's what the holidays are for, that is why it's a tradition that we spend time with our families on the holidays. What do you do when you're with family? Let me know in the comments. Happy January! This is such a great post! I think more people should read it! I'd love to! Thank you Elaine!! Our youngest daughter and son-in-law did not make it for Christmas, but they plan a visit around Valentines day. I am reminded that a few years back we invited everyone to come around 4th of July as that was mid year. It is great to have family come "home." Thank you for sharing with us here at "Tell Me a True Story." We also bonded with games, but also puzzles when we were with my husband's family this Christmas. It was great to be together, working on a project, and just chatting. I want to do more puzzles with my own kids. How Many People Do You Need to Kiss?